Why is God restoring apostles to his church? Because restoration of the apostolic ministry is necessary for the church to complete its mission on earth. We are now experiencing the greatest outpouring of the Holy Spirit the world has ever known, and we should expect to see multitudes swept into the kingdom as a result. 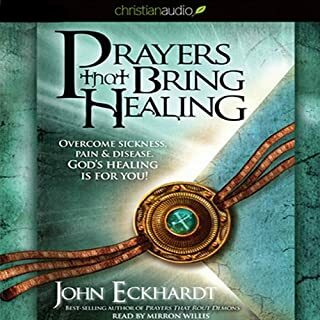 In this book, John Eckhardt reveals how the apostolic dimension affects the preaching, teaching, worship, prayer, and giving of the local church. Good teaching and information about the apostolic. You must be stable, fixed, and firmly planted in God in order to survive this unstable world. We all know people who sometimes act in polar opposites: the minister who is godly, prayerful, and holy at times yet has periods of sin and perversion; the person who is outgoing and cheerful yet falls into bouts of withdrawal and depression; or the person who is gentle and kind yet has periods of outburst and rage. 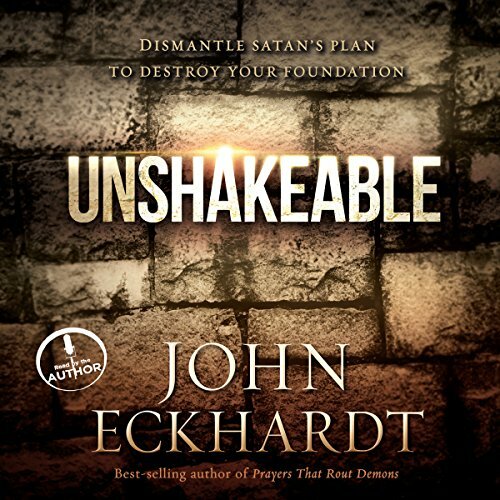 Unshakeable is a teaching unlike any other from best-selling author John Eckhardt, and it will help you break the most binding, demonic force: double-mindedness. This is an excellent read very enlightening. Confirmed some things I knew, taught me some things I didn't know, revealed things In a different light and stirred the gift within causing you to have a desire to be Unshakeable, a must read from one of (of many) outstanding teachers I glean from very informative. Blessings! 3 days to finish! A powerful read I needed this. This word was very timely for my life. I knew somethings were off but was not fully aware of all demonic activity going on. all I knew to do was pray and ask God for help and then I found this book. my mind soul and spirit has been restored, delivered and set free. Thankful! Get ready for freedom! To the point and direct, a book that leaves no stone unturned. 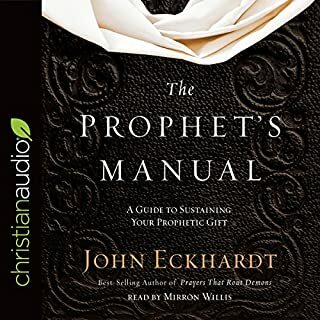 This book is typical Apostle Eckhardt: thorough, informative and ultimately life changing!!!!!!!!!! 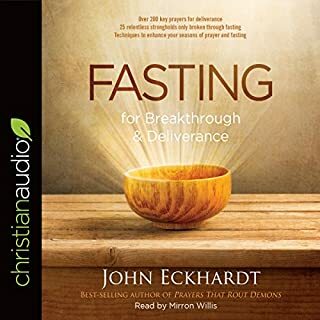 I highly recommend it to anyone who is serious about deliverance. Read and Listen to this Book so you can completely flip over the unseen pieces to hidden picture of Life's unanswered questions that can and will FREE YOUR MIND! 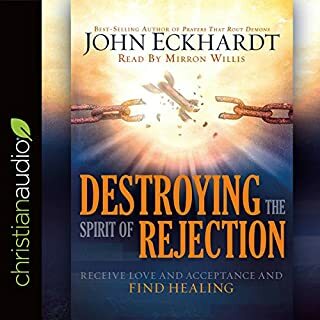 Thank you John Eckhardt, first for living this book and then recording it for the rest of us so we too can begin to experience the freedom that the truth brings. Your life is changing lives. Your obedience is blessing others and God is glorified. May His blessings rest upon you more and more. A must have for self-deliverance!!! Wow! This book is the answer to my prayers! I now have a better understanding of myself and the things i need to change. If you really want to be delivered from doing the same things over and over, then this book is for you! 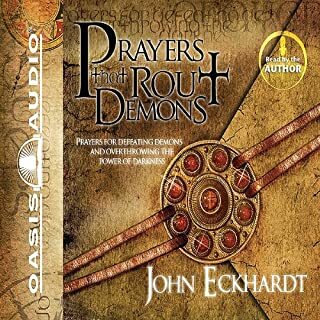 I also enjoyed John Eckhardt as the narrator. Had to get a few things right in my life and this was the book that helped!! 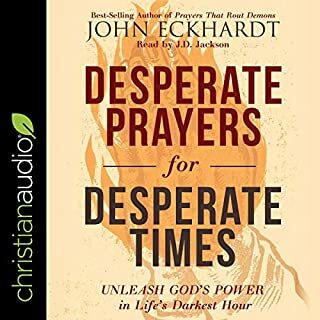 This audio book is beyond words. I love that it is read by the author. I have a lot of books by this author but this is my first audio book by him. This audio book is a must have and I will end up buying the book as well and strongly recommending it to others. Thanks Apostle Eckhardt for sowing time into producing this book for the advancement of the Kingdom of God and his people. I listened to this book twice, and each time I have learnt something different. Extremely educational. Covers topics, not regularly covered in churches..